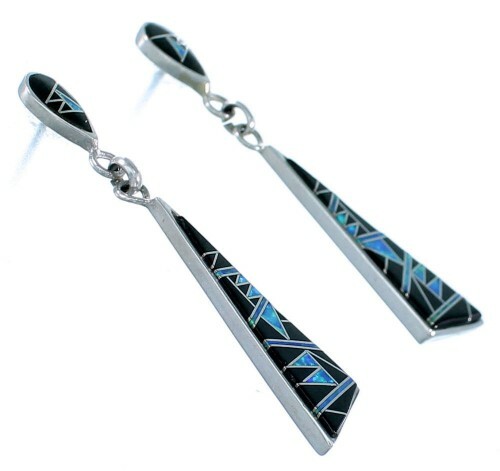 What an amazing pair of earrings! 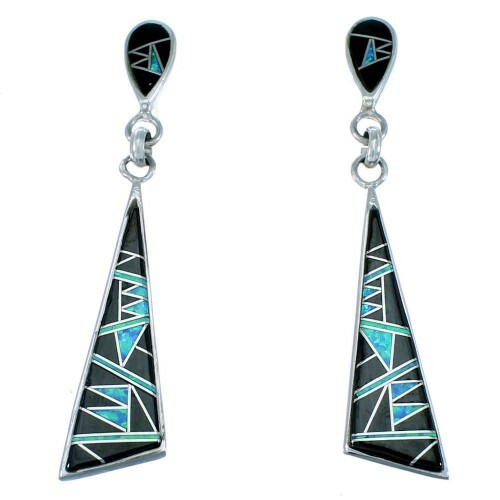 The earrings are made out of genuine sterling silver, along with real Jet and man made Blue Opal inlay. The inlay is delicately set, while thin silver lines can be seen in between adding style. 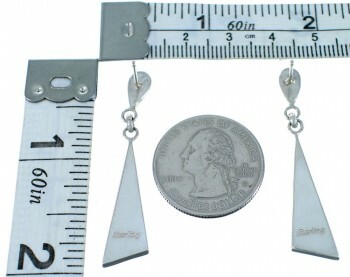 Earrings are made in the USA and stamped sterling.